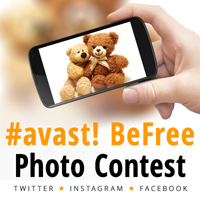 #avastBeFree: AVAST is looking for its next Photo Contest Winners! One year ago, Avast launched avast! Free Antivirus for Mac, and celebrated with our first photo contest. The results were outstanding - we received 50,000 photos with “APPLE” as the topic, and our Facebook page became the 5th fastest growing page worldwide during the first week of the competition! Enter our new Photo Contest and Win! We are happy to introduce a new photo contest. This time, however, we leave it up to your creativity. Your assigment is simple: Show us your creativity and visual interpretation of our slogan avast! Be free! To make it even easier, this time you can enter not only via Facebook, but also upload your best photo via Twitter and Instagram using the #avastBeFree hashtag. By June 5: We annouce the winners! The Top 150 voted photos will get to the finals. So make sure you get all your friends to vote for your photo. An AVAST jury will select their favorites from among the Top 150 , and award them First, Second, and Third prizes. 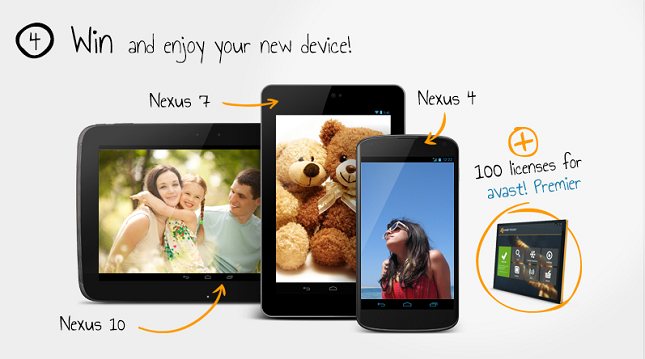 The next 100 Honorable Mentions will receive a 1-year free license of avast! Premiere!